The Grand Canyon is one of the United States’ most popular destinations and is one of the seven natural wonders of the world. It is also one of my favorite places I have ever been. The vastness of the canyon is breathtaking and makes you realize how small you really are. 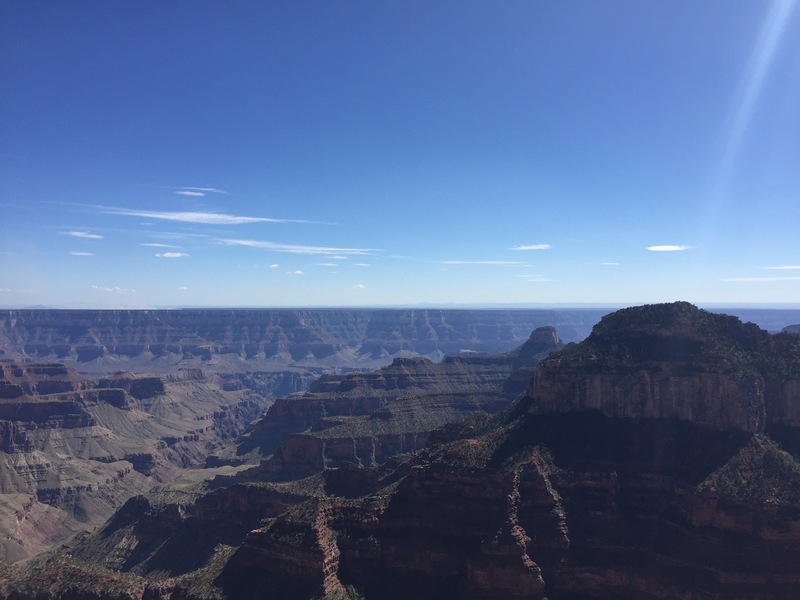 This picture is from the North Rim of the Grand Canyon which is far less visited than the south rim. Almost directly straight across is the Bright Angel trail leading up to the South Rim from the canyon floor.